A blue-blooded snobbish English lord comes to 221B Baker Street. His much younger wife, a beautiful, independent American, has vanished and he knows she has been kidnapped. Sherlock Holmes has to find her. Three days later a terrible crime takes place and the wife is accused of it. Now she seeks the help of Sherlock Holmes. Set in Victorian London and using the themes and characters familiar to Sherlock Holmes fans, this mystery will keep readers guess and trying to follow the clues that Sherlock discovers. 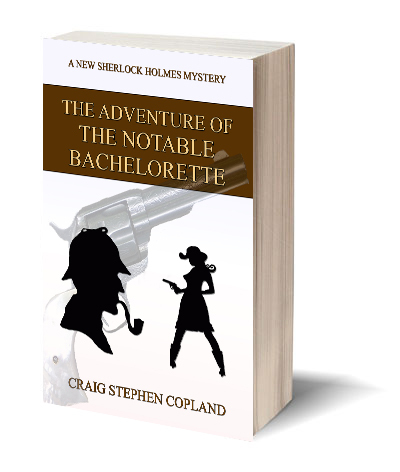 It is modeled on the original story, The Adventure of the Noble Bachelor.